In 2005, Merino Services came into existence with an objective to deliver world-class Business and IT solutions to organizations across Industries. We became the channel partner of Infor and got into alliances with SAP, IFS, IBM, and ORACLE. With years of service into IT solutions business, we cater to various industries like automotive, food & beverages, hospitality, retail, aerospace & defense, hi-tech electronics, textile, wire & cable, energy & power, discrete manufacturing, and equipment & machinery. Recognizing our achievements and capabilities, Infor has made us their global premium delivery partner. With an objective to offer the best and customised services to our global clients spread across 41 countries, we have set up multiple offices in India, USA, Europe, UAE, and South-East Asia. 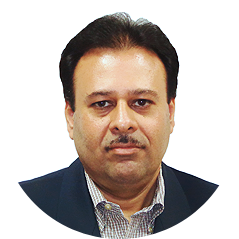 With 26+ years of experience, Dr. Sanjay Sharda has headed IT Departments of companies such as DCM Shriram Group of Industries, Welspun India Ltd., Abhishek Industries Ltd., and Century Laminating Co. Ltd. He has a proven track-record of successfully heading 7 SAP implementations and more than 15 Baan Implementations. Dr. Sanjay holds a PhD. in Business Management, Master's in Business Administration (MBA) and Master's in Computer Applications (MCA) from Delhi University. He is a certificate holder in ERP Design and Implementation from Indian Institute of Management (IIM), Ahmedabad and Materials Management from XRLI, Jamshedpur. 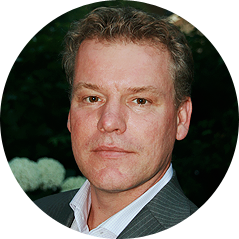 Mr. Frank Manders is currently heading the European Business of Merino Services. Prior to Merino, Mr. Manders was Director - Product Management LN/Baan at Infor. During his tenure, Infor released multiple important improvements in Infor LN, which boosted sales and adoption of LN with the bigger customers. Before Infor, Manders was a Business Process manager at Solectron, where he was responsible for processes and enterprise applications in the materials area for all 20+ sites in Europe. Mr. Manders managed many projects in the areas of Information Plan, Information Strategy Development and Business Process Management and helped organizations to adopt innovation and manage change. Mr. Manders holds a Bachelor's in History and Social Science from Hogeschool Katholieke Leergangen (Fontys Hogescholen). He has more than 25 years of experience, including the last 10 years in various Senior Management positions. Before Merino, he worked with Infor in key senior positions including Director - Enterprise Solutions Business, Director – Consulting and Director Sales. 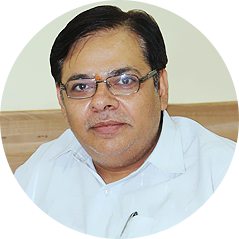 Mr. Ashish is a Chartered Accountant and Cost Accountant who holds a bachelor's in Commerce from Mumbai University. 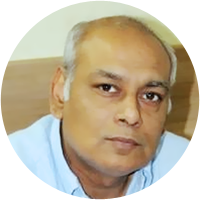 He is also a qualified ISO 9001:2000 Lead Assessor from KEMA Quality Management, Netherlands. He has completed several courses / workshops including Leadership Simulation, European Foundation for Quality Management (EFQM), Total Quality Management (TQM), Lean Management, Kaizen, Project Management, and Implementation Methodology.